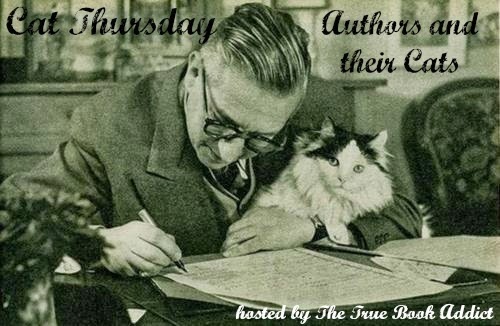 True Book Addict...True to Books: Cat Thursday: Authors and Cats (29) and Happy Valentine's Day! Cat Thursday: Authors and Cats (29) and Happy Valentine's Day! In honor of Black History Month, and her birthday on February 9, I give you Alice Walker (1944 - ) with a feline friend. Says the cat, "Hey you...don't disturb her..she's writing!" Happy Valentine's Day...a day early! Isn't Pusheen just adorable!? Always have a cat by your side! Awww...Pusheen is adorable! Happy Valentine's Day! I love Pusheen! One of my favorite facebook message icons :) Happy Valentine's Day! 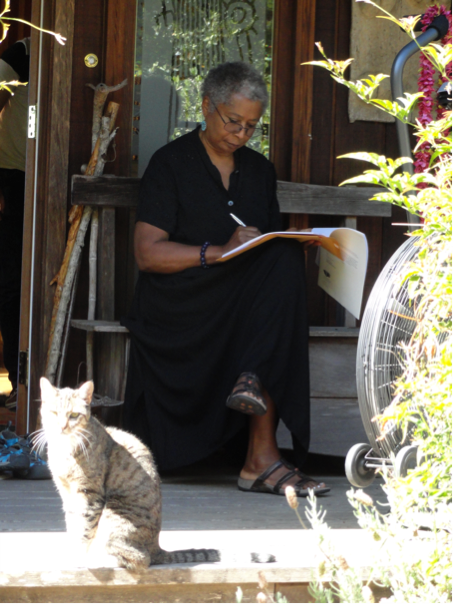 I love that Alice Walker loves a kitty! My grandparents lived through the War and told me of the bombings when they lived in England. I love this setting and time period (touched on a bit in The Girl You Left Behind) and we're going to see Monuments Men tomorrow! The cat does look like her guard. Have a Happy Valentine's Day tomorrow.